Moo ! Cards ! Moocards ! I received my photography business cards today. They were printed by a fine company called Moo. 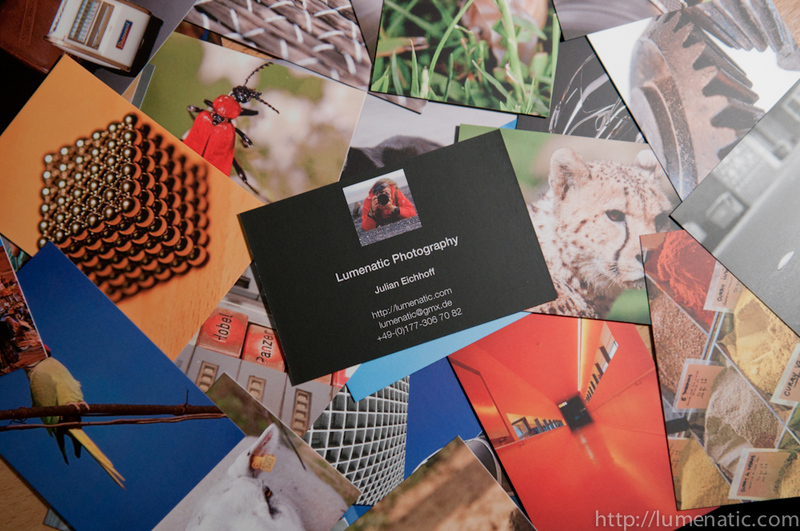 With Moo you can individualize your business cards to better reflect the nature of your business. The front of the card shows your details on every cards, as business cards should be. Moo offers some standard layouts which can be easily modified (I did this with my cards – the black side you see). But you can also make the weirdest stuff in Adobe Illustrator or similiar and use this. The special thing about Moocards is the back of the cards. 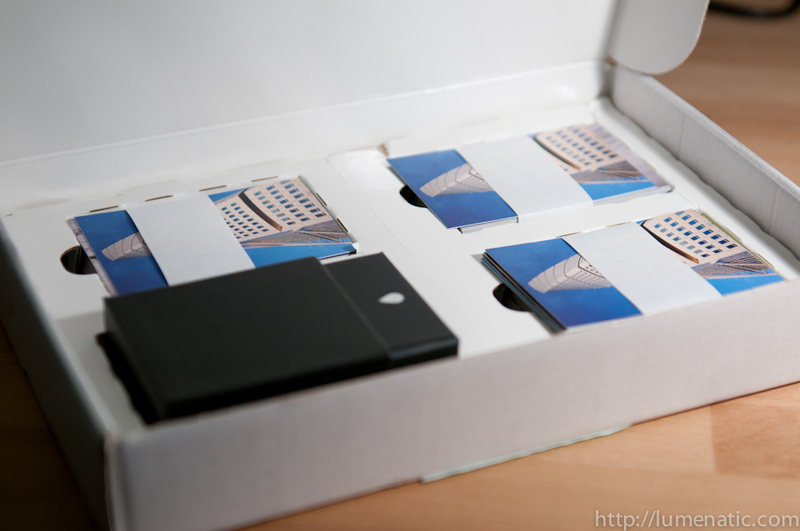 You can upload up to 50 pictures to Moo, and they will print these 50 pictures on the back of the cards. Or 10. or 25… as you like. And it all costs the same. I chose to upload the maximum number and now I have 50 different pictures on the cards. Meaning – I ordered 200 cards and now I have each card only 4 times. The “Wow”-effect with moocards comes when you are asked for a business card and you draw the bundle saying: “Sure, pick one you like”. I uploaded the 50 pictures I wanted to have on the cards and made my front card design with my contact details. Payment by credit card and off the order went. The cards arrived in a small white box, with four sets of 50 cards each. 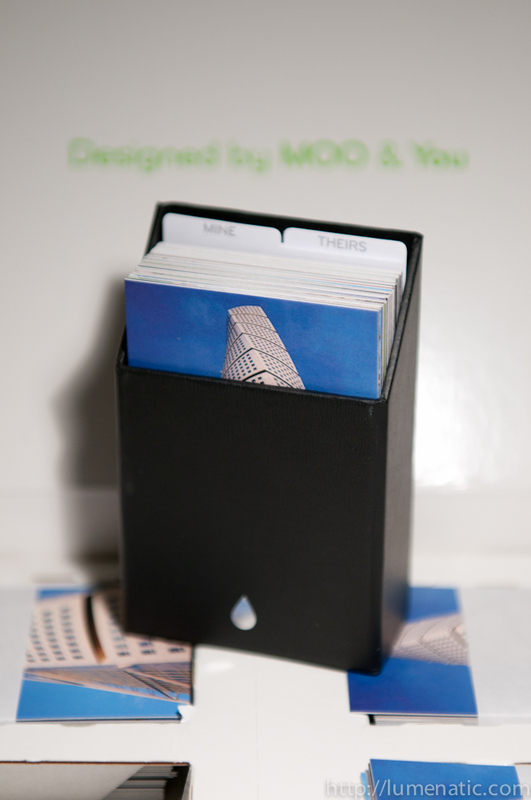 Moo also provides a neat and fine looking business card box. The cards are printed o a thick paper, which feels like “quality” when you touch it. The pictures are sharp and the colors vivid. I am looking forward to handing out these cards. I can imagine that they have quite an impact, since they are so unusual. Price: I paid 60 and something Euros for the set of 200 cards. Of course the price per card drops if you order more. The only negative thing I can say about Moo is that they took their time. It was 17 (seventeen) days from ordering to receiving the cards. You can pay an extra fee to get “express printing”… I wonder if this is just a way of making some extra money. But well, I do not want to be the classic nagging German party pooper. The product is great and I am one happy customer.